ASTM A312 / A213, UNS N08904, DIN 1.4539. SS UNS N08904 Welded Pipes, Stainless Steel UNS N08904 Pipe, SS 904L Tubing, WERKSTOFF NR. 1.4539 Tubing, SS DIN 1.4539 Pipes, ASTM A312 Stainless Steel 904L Pipes, SS UNS N08904 Pipes, ASME SA312 SS, TP904L SS Seamless Pipes Supplier in Mumbai, India. TP904L Pipe Price, SS 904L Electric Resistance Welded Tubing, SS TP904L Rectangular Pipes, Austenitic Stainless Steel 904L Pipes, Stainless Steel 904L Pipe, SS TP904L EFW Pipes, 904L Stainless Steel Pipe, SS 904L Round Tubes, SS 904L Tubing Exporter, SS 904L Square Tubes, SS 904L Capillary Tubes, ASTM A358 SS 904L Electric Fusion Welding Pipe, SS 904L Welding Pipes. Jayesh metal has become the world top most popular industry that is producing and offering the stunning quality of SS 904L Pipes. The industry is fully focused on satisfying all the desires of the esteem patrons to maintain long life relationship. They are offering the item as per the specification demand of the buyer for easily and effectively fulfilling various application demands. The item is offered to buyer at pocket-friendly rates that perfectly suit the budget of the buyer. The dimension of it are ASTM, ASME, JIS, DIN, EN, IS, BS, API etc. the available size and wall thickness are varying differently as per buyers demand. The length of it is cut length or single and double random. The schedule of it is SCH 20, 30, 40, 60, XS, 120, 140, 160, XXS. The type of pipe offered is LSAW, ERW, welded, seamless, fabricated etc. The forms are square, round, hydraulic, rectangle etc. The ends of it are plain, beveled and treaded end. The producers are offering MTC in accordance to EN 10204 3.1/3.2, third-party test report, lab test report, buyers report. The documentation offered is fumigation certification, commercial invoice, packaging list, heat treatment chart, quality assurance plan etc. The delivery of SS 904L Pipes is assured to be well on time but depending upon availability of stock. If in case item is not in stock, time taken is depending on the manufacturing of ordered consignment. The item is packed carefully in wooden boxes, carton boxes, wooden crates, wooden pallets etc. This gives safety to the product. 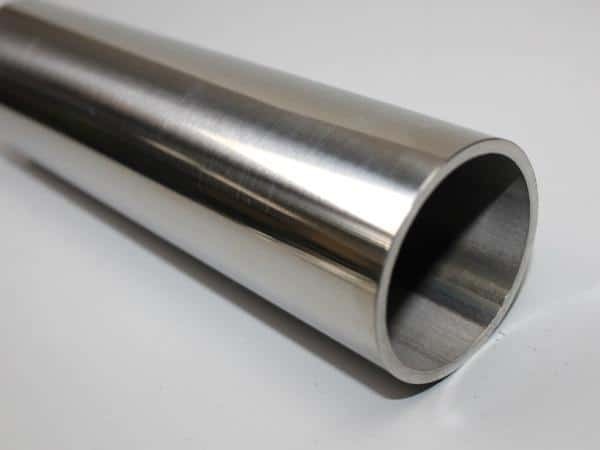 jindal stainless steel 904l pipe price list, ss 904l pipe schedule chart, schedule 40 904l stainless steel pipe pressure rating, 904l stainless steel pipe price list, 904l stainless steel pipe price list, stainless steel 904l tubing sizes, stainless steel 904l pipe prices, 904l stainless steel pipe schedule 80, 904l stainless steel pipe specifications, stainless steel 904l tubing 3/8, 904l stainless steel pipe price list, ss 904l pipe manufacturer in mumbai, stainless steel 904l weight chart pdf, ss 904l pipe weight chart, schedule 40 stainless steel 904l pipe dimensions, 904l stainless steel pipe dimensions, stainless steel 904l tubes exporter in india, stainless steel 904l pipe manufacturers in india, ss 904l seamless pipe suppliers in mumbai, stainless steel 904l rectangular tubing, 904l stainless steel pipe schedule 10, schedule 160 stainless steel 904l pipe, schedule 40 stainless steel 904l pipe, 904l stainless steel pipes dealer in mumbai, stainless steel 904l pipe price per foot, 904l stainless steel pipe prices. 904l stainless steel tubing, stainless steel 904l pipes supplier in india, stainless steel 904l pipe grades chart, jindal ss 904l pipes price list, stainless steel 904l pipe specifications astm, stainless steel 904l pipe manufacturers in mumbai, 3" stainless steel 904l pipe, ss 904l pipe supplier in mumbai, t904l stainless steel pipe. Vietnam, Angola, Bangladesh, Sri Lanka, United Arab Emirates, Mongolia, Peru, Zimbabwe, Netherlands, China, Egypt, France, Chile, Romania, South Africa, New Zealand, Czech Republic, Venezuela, Kazakhstan, Namibia, Austria, Switzerland, Trinidad & Tobago,Tunisia, Libya, Bahrain, Costa Rica, Estonia, Lebanon, Gambia, Mexico, Thailand, Algeria, Iran, Poland, Ecuador, Yemen, Croatia, Malaysia, Mexico, India, Iraq, Sweden, Germany, Ukraine, Bhutan, Afghanistan, Azerbaijan, Nigeria, Iran, Turkey, Canada, Finland, Greece, Indonesia, Bolivia, Kuwait, Morocco, Nigeria, Singapore, Ireland, Norway, Kenya, Puerto Rico, Tibet, Poland, Belarus, Spain, Denmark, Oman , Philippines, Nepal, Taiwan, Bulgaria, Brazil, Australia, Serbia, Argentina, Slovakia, Qatar, United States, Israel, Chile, Saudi Arabia, South Korea, Colombia, Macau, Italy, Hong Kong, Lithuania, Portugal, Hungary, Belgium, Russia, Gabon, Japan, Pakistan, Jordan, Ghana, United Kingdom. Perth, Rajkot, Gimhae-si, Singapore, Nagpur, Navi Mumbai, Edmonton, Tehran, Faridabad, Jamshedpur, Pune , Ludhiana, Vung Tau, Bengaluru, Petaling Jaya, Manama, Doha, Vadodara, New York, Jakarta, Indore, Visakhapatnam, Hanoi, Melbourne, Los Angeles, Bangkok, Dubai, Port-of-Spain, Seoul, Sharjah, Ahmedabad, Kuala Lumpur, Caracas, Ranchi, Brisbane, Jeddah, Montreal, Rio de Janeiro, Abu Dhabi, Ankara, Riyadh, Busan, Courbevoie, Hong Kong, Chiyoda, Chennai, Istanbul, Ahvaz, Sydney, London, Pimpri-Chinchwad, Secunderabad, Santiago, Gurgaon, Chandigarh, Aberdeen, La Victoria, Hyderabad, Howrah, Algiers, Dallas, Thane, Colombo, Thiruvananthapuram, Al Khobar, Dammam, Jaipur, Al Jubail, Bhopal, Bogota, Calgary, Baroda, Haryana, Noida, Atyrau, Lahore, Lagos, Kolkata, Ernakulam, Ulsan, Toronto, New Delhi, Mumbai, Cairo, Kanpur, Coimbatore, Granada, Ho Chi Minh City, Houston, Surat, Moscow, Karachi, Geoje-si, Mexico City, Nashik, Kuwait City, Madrid, Muscat, Milan.